When we think of yoga, we think of downward dog, child's pose, warrior, salutations and maybe a few intensive poses that we mere mortals struggle to achieve. My love for yoga started over the summer when I signed up for a $30 for 30 days class at a yoga studio near my home. 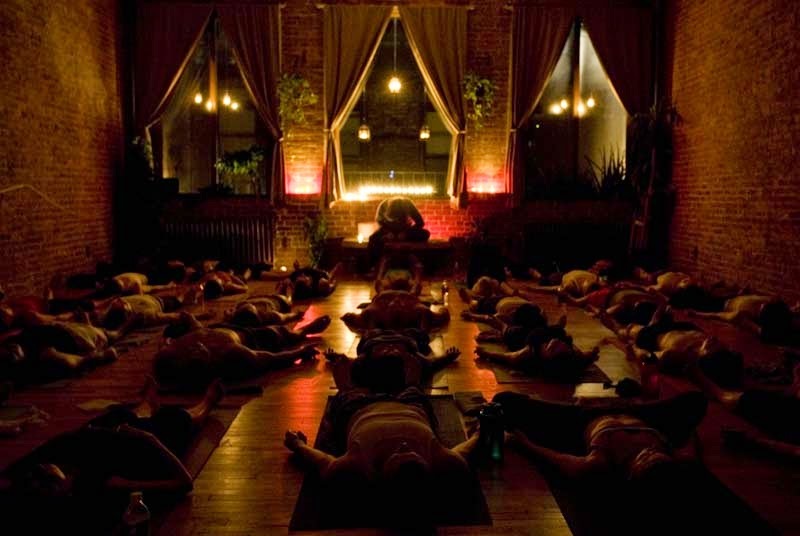 Recently, I began attending yoga classes in the city at a donation-based studio called "Yoga to the People". Although I never gave much thought to the origins of yoga, it is interesting to see how yoga has transformed over the years. Yoga originated in India as a way to reach the inner self and become one with Brahman, or supreme reality. According to Hindus, there are four different yogas or ways of reaching nirvana: Bhakti, Karma, Raja and Jnana Yoga. Bhakti Yoga is achieved when one's unconditional love is redirected towards a god. One must completely give up self-interests and not expect anything in return. Karma Yoga is achieved in doing one's duty for selfless reasons. Raja Yoga is achieved when one achieves complete self control by focusing the mind. Jnana Yoga uses intellect and knowledge as a tool of shedding the illusion of our mind's barriers and reaching the inner self. Although indulging in westernized yoga classes to be more flexible, more fit and to possess a better body do not reflect the goals that these forms of yoga strive to achieve, yoga has been the pathway to my inner peace. Ever since I watched "The Ring" when I was seven years old and stayed up all night recreating various alternate story lines for the horrifying movie, I knew that possessed an active mind. I've never been able to completely cease thinking, to stop creating new stories and replaying memories in my head. As I matured and learned more about the human mind, I realized that no normal person can stop his or her mind from thinking; our brains are a chain of endless thought. When I attended my first yoga class, my instructor gave us a set of instructions. They were simple: to lie down, close our eyes and breathe. At first, I asked myself if this was a joke. All I could think about was how badly I'd parallel parked in my spot in the yoga studio parking lot. However, I gave it a try and breathed: in, out, in, out... It's like those lyrics from that Alt-J song: "Breathe in...exhale." Focus. Closer and closer I came to the silence. My muscles relaxed, my breathing slowed, and everything (my limbs, my mind, my soul) seemed to...open, widen, expand. With each breath, I felt as if I were releasing a bit of myself. I released the thoughts that were clouding my mind with worry. I released the unease of having to leave my friends and move to the city. I released yesterday. I released tomorrow. I only focused on today.